Disclosure: This shop has been compensated by Collective Bias, Inc., and its advertiser. All opinions are mine alone. Nighttime snacking, Yay or Nay? In our home, we say YAY! We have early dinners, around 6pm, so we are usually in need of a snack prior to bedtime. Our snack of choice as family? Cereal! It's the perfect good night snack! 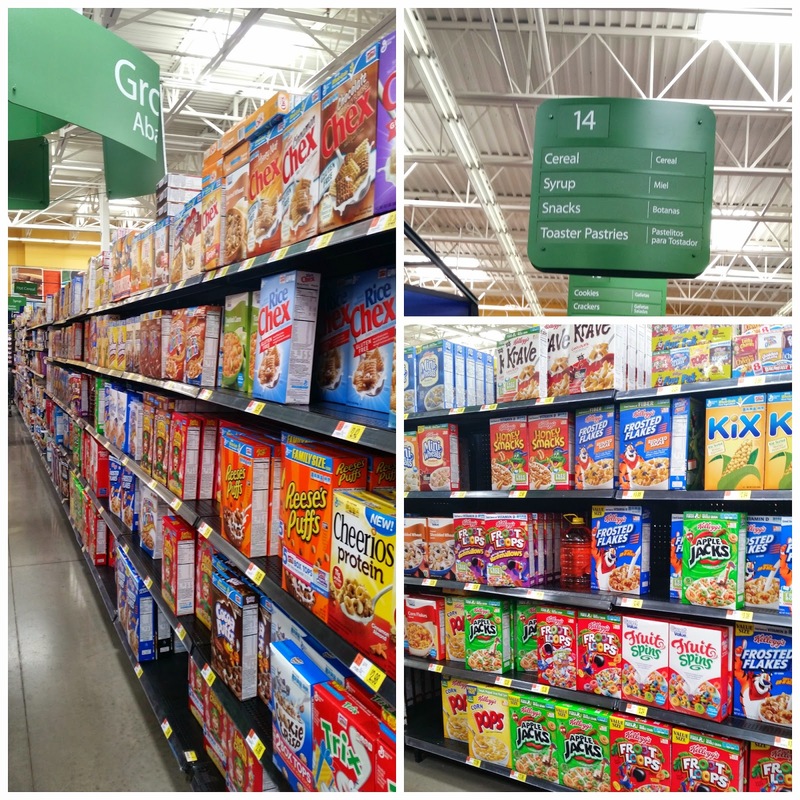 Once a month, I head to Wal-mart to stock up on our favorite cereals. With the low prices available, under $3 a box, I can afford to purchase everyone's choice of cereal. 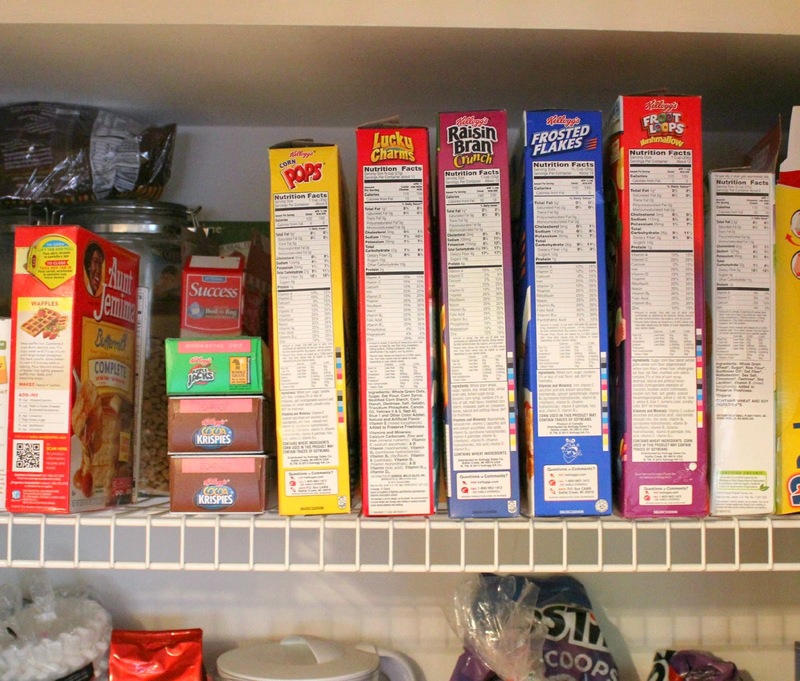 There are so many Kellogg's cereals available for your family to choose from. Two new cereals have been added to the mix: Kellogg's® Jif™ Peanut Butter cereal with a yummy peanut butter flavor and Kellogg's® Rice Krispies® Multigrain Shapes which is a lightly sweetened graham flavored cereal that comes in fun shapes. Two adults and three kids means at least five boxes of cereal. Everyone likes a different kind. This is what the top shelf of our pantry normally looks like! I count 9 boxes of cereal in there right now. 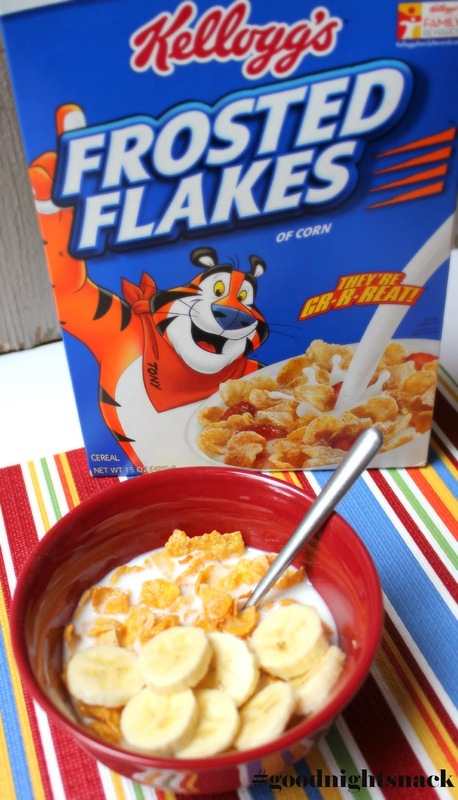 I have a weakness for Kellogg's® Frosted Flakes cereal. I have it with a splash of milk. 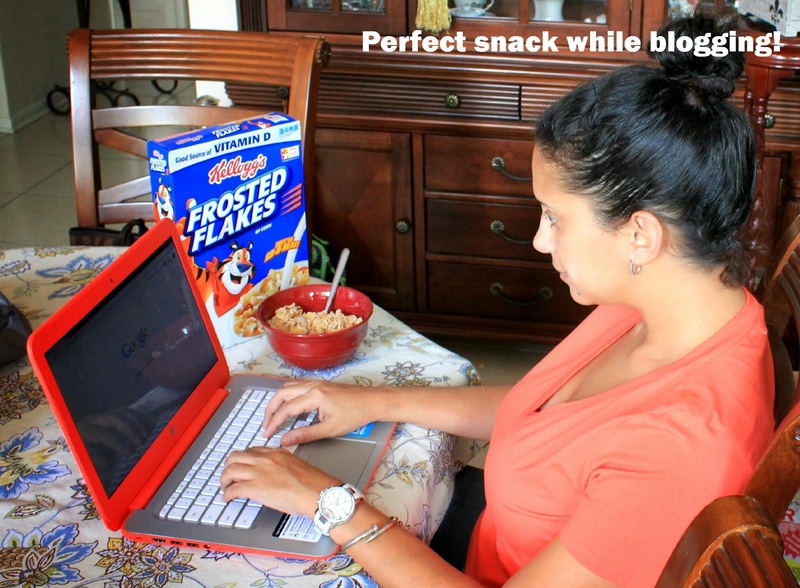 It's my go-to snack while I catch up on my blogging and really anytime of day I feel a little hungry and am craving a sweet snack! I can have it plain or with cut-up bananas! YUM!!! JC works out everyday and he is always hungry. Around 8-9pm, he grabs a bowl of Kellogg's® Raisin Bran cereal, sits down on the couch and "coaches" Adrian through the next level of a video game. 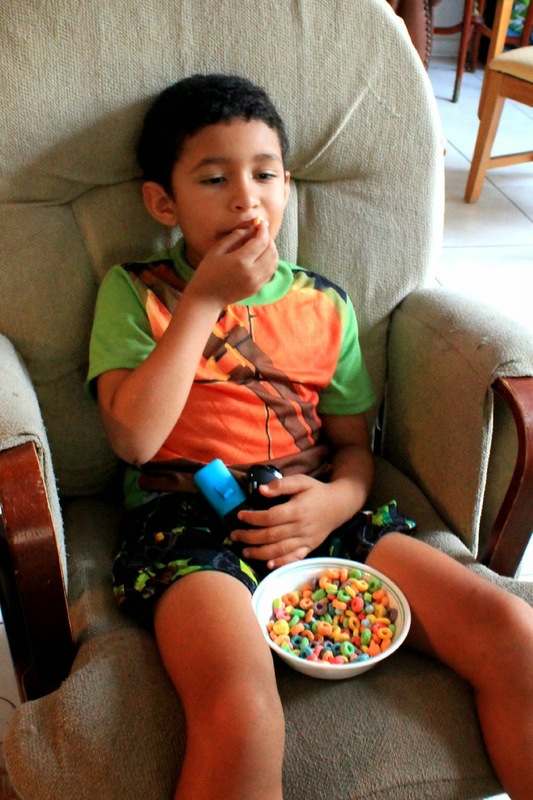 Adrian likes the new Kellogg's® Fruit Loops with Marshmallows as his nighttime snack. No milk for him though, he likes it just as it is!! 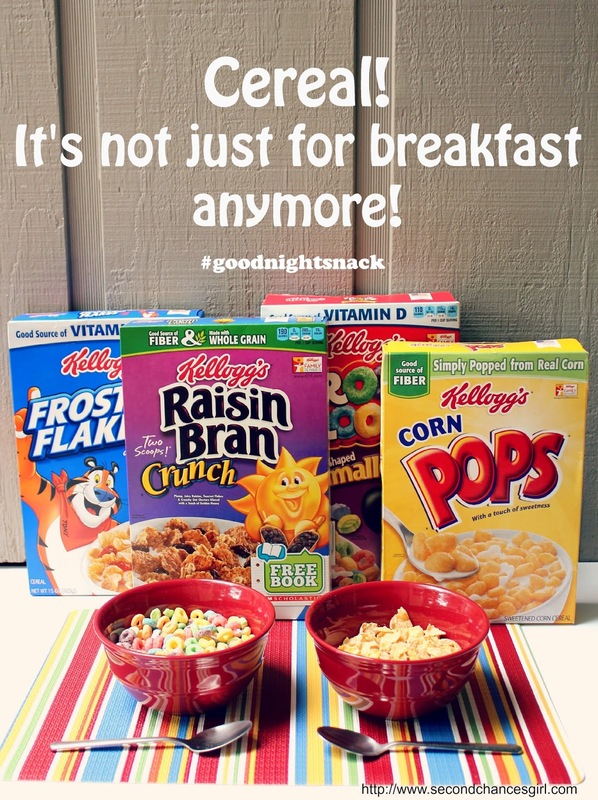 For our family, cereal is a fun good night snack. We have it while playing games, watching movies, while reading bedtime stories and even during some epic gaming battles! I'm the current bowling champion! Do you have cereal as a snack? 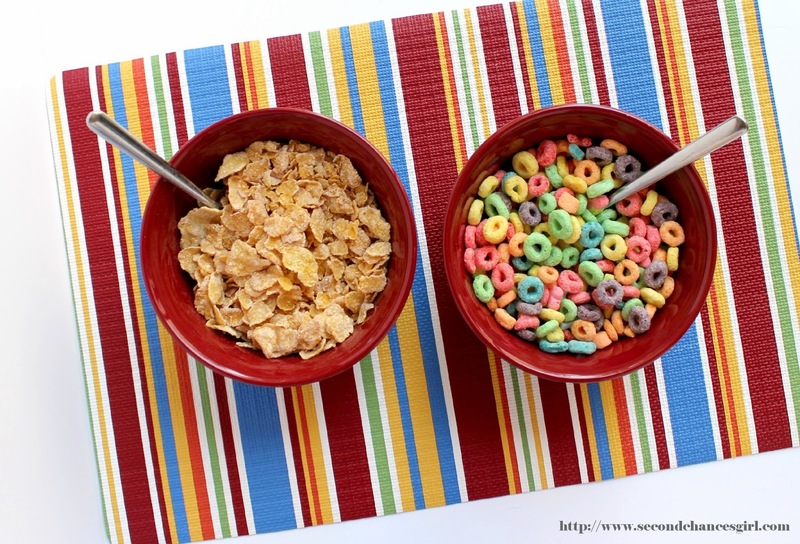 Which cereal is your favorite? I could live on cereal! I just know it. Lucky Charms are forever my favorite, but I don't turn down any others either. I just don't like raisins in my cereals. 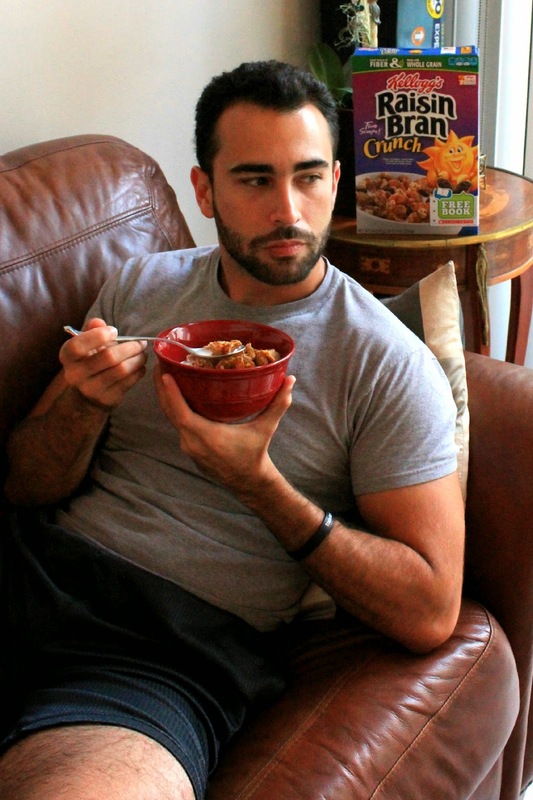 My husband and kids are both big time cereal snackers. I try not to buy the sugary cereals that often, though we usually buy about 3 boxes a week and almost always have Honeycomb and Cheerios on hand. Just don’t tell my kids about Fruit Loops with Marshmallows, because my kids LOVE any cereal with marshmallows in it!